Why Are Early Dental Checkups So Important? Most dentists recommend that you take your child for their first dental visit between ages 1 and 2. The first visit is important to get your child used to the dentist’s chair and to further educate parents on how to care for their son or daughter’s teeth. Your dentist will explain to you what they’re seeing in your little one’s mouth and what to expect in the next 6 months to a year. Early dental visits will allow you and your dentist to become familiar with any issues or risk factors your children may have. After the age of 2, your loved ones should visit the dentist every 6 months for regular cleanings and checkups. 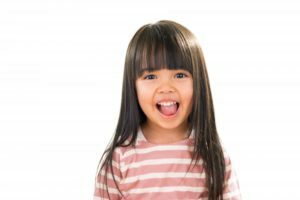 Younger mouths are susceptible to plaque buildup, and because they’re not expert brushers and flossers yet, regular checkups and cleanings are necessary in maintaining proper oral health for your children. Why is Taking Care of Baby Teeth Important? Baby teeth aren’t permanent, but that doesn’t mean they should be neglected. Baby teeth exist for the same reason permanent teeth do: to help your children chew and talk. However, their most important job is to hold the place for their adult teeth to come in. If there are any cavities or issues with your son or daughter’s baby teeth, they must be filled to stop the decaying process. Even though their teeth will eventually fall out, you must help keep their baby teeth healthy to hold places for the permanent ones. If their teeth decay or are lost too early due to poor hygiene, the permanent teeth can drift into the empty space. This causes crowding and crooked teeth, which is why taking care of your infant’s temporary choppers are vital. Schedule early dental visits for them and help take care of their baby teeth to get them used to maintaining good oral hygiene. Even though your loved one’s baby teeth fall out, setting them up with good oral health from the start of their lives can benefit them for decades to come. Dr. William J. Carini and Dr. David Blanchard both understand the importance of keeping your young one’s mouth healthy, which is why they offer dental services for the whole family. They enjoy helping your kid’s smiles and watching them grow as they learn to care for their pearly whites all on their own. They currently practice at Advanced Dental Treatment center and can be contacted through their website or by phone at (414) 209-7463.